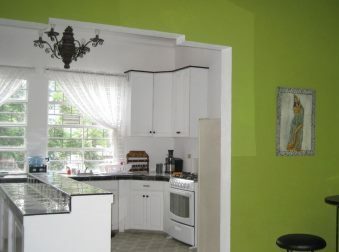 The photo shows our beautiful restored Art Deco mansion. Originally built for the Lopez family in 1951, it was home to 3 generations of the family until 2016. We bought it from the family and restored it with great historical authenticity. 6 Dorms: Volcan Conchagua 1st floor with 2 bunk beds. Volcan Conchaguita 1st floor with 2 bunk beds. Volcan El Playon 1st floor 4 bunk beds. 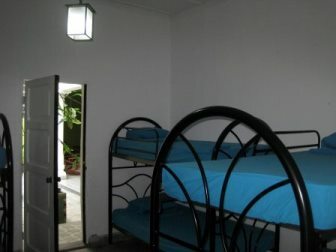 Volcan Usulutan 1st floor 2 bunk beds. Volcan Cerro Verde 4 bunk beds. Volcan Chaparrastique 3 bunk beds. 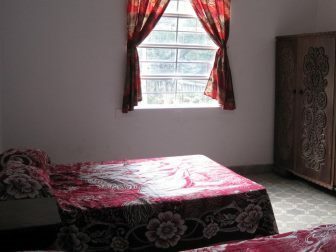 4 Privates: Volcan Quetzaltepec 2 double beds 1st floor, private bath $25.00. 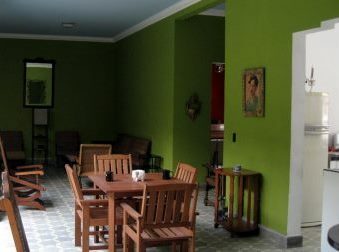 Volcan Ilamatepec 1st floor 2 double beds, private bath $25.00. 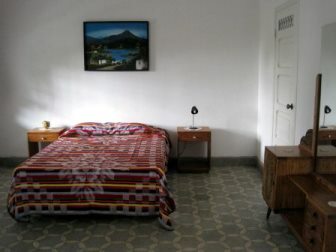 Volcan Chichontepec 2nd floor 1 double bed, private bath, private balcony $25.00. 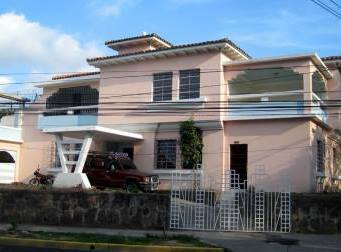 Volcan Coatepeque 2nd floor, 2 double beds, shared bath, $20.00.